It's Official: The Hunter Brothers are Going to be BIG! While surfing facebook, I found the debut music video from Shaunavon's Hunter Brothers. On this single "Breakin' My Heart' Dusty carries the mail with most of the vocals, while the camera and director really seem to have a fondness for former Bronco captain Luke. The video is as good as anything you'll see on Much More Music. 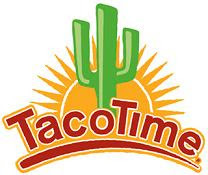 Hi guys - can you please make sure you announce today & Monday that we're getting free Taco Time lunch on Monday? It's part of the agreement for getting it free :) Thanks! Many people wonder why I've never moved on to do radio in a larger center. Aside from alack of talent, see above for the primary reason why. Anyone who knows me knows I could eat tacos all day.